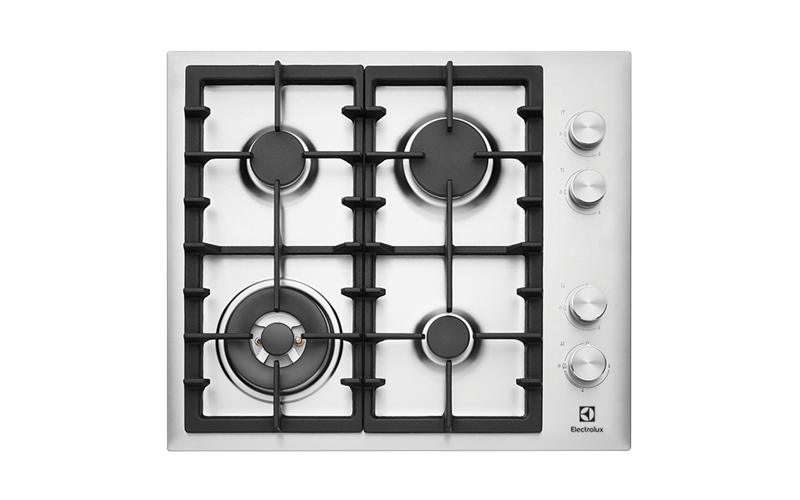 60cm 4 burner stainless steel gas cooktop with side controls is rated 4.7 out of 5 by 10. Rated 5 out of 5 by Ruby53 from Great Cook Top We bought this a month ago and are very happy with its operation and look. Rated 5 out of 5 by lacemaker from Plenty of power in a small package I've had this for about three weeks, replacing a terrible old radiant electric cooktop. I chose it on the basis of the powerful wok burner and ability to be turned down very low for gentle simmering. It delivers on the power, and the simmer setting is good, though maybe not great. I've found there's enough room for some relatively complex cooking and the flames catch relatively quickly, though maybe not quite as fast as I'd like. Overall happy with my choice. Rated 4 out of 5 by Midge from Nice style Have had my new appliances now for a month after having my kitchen updated. I do love my new cooktop, the only complaint that I would have and for me it's an age thing not a fault with the product, and that is that I find the lift off, cast iron bars heavy for me as I don't have a lot of strength in my arms. Might be something to consider in production. Rated 5 out of 5 by Kristyugz from Great buy!! Cooking in my kitchen is no longer a chore with my new Electrolux appliances. The best cooktop I’ve had the pleasure of cooking with. Rated 5 out of 5 by Tima from Excellent gas cooktop Have had my gas cooktop for nearly 2 months and could not be happier with it and would highly recommend any Electrolux product. Rated 3 out of 5 by notlater from Wasn't good as I thought I saw some reviews that said very good. But flame adjustment is not good. It is powerful, yes but can't do any small flame even midium heat.